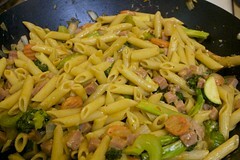 Jeff and I make “our pasta” quite often – about twice a month or so. I originally got the idea from a friend of a friend, but have since put my own twist on it. 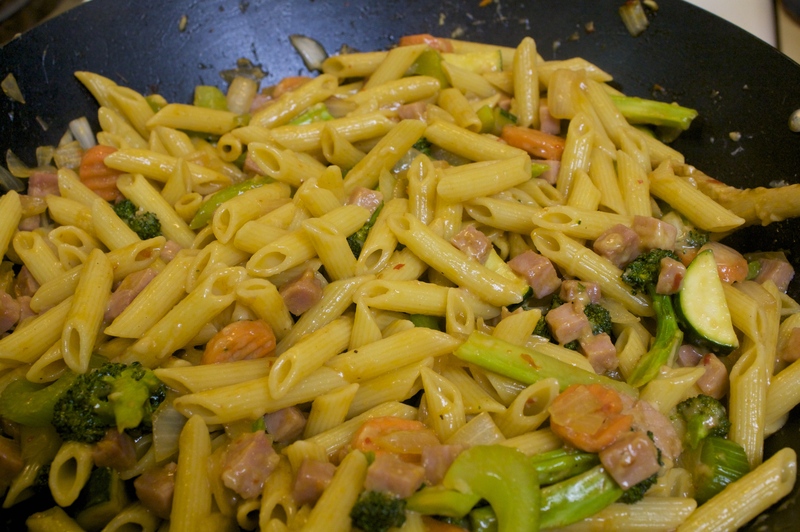 It is basically penne pasta with ham and vegetables (we like zucchini, broccoli, carrots, celery and onions) and our special sauce. 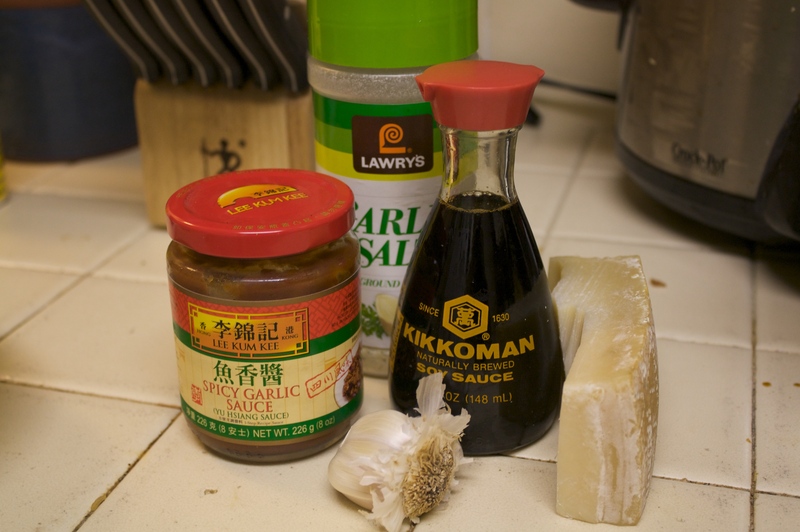 We use Lee Kum Kee’s Spicy Garlic Sauce along with garlic salt, soy sauce, freshly grated Parmesan cheese and garlic. It tastes like an asian pasta, i guess you could say. Oishi!